Durenda and her son KJ on his 1st birthday, before he had 8 shots in one day. A young Georgia mother had no idea that a routine trip to the pediatrician’s office for her son’s 1 year check-up would change her son’s life forever, and leave her fighting the state for custody of her own son. 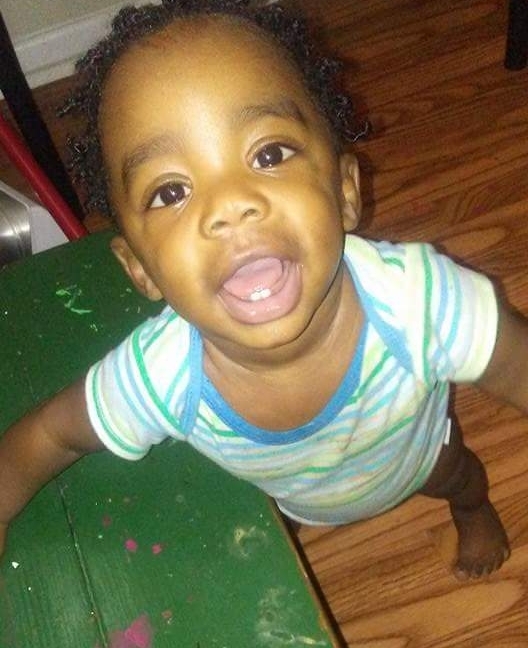 When the nurse-practitioner told her that her son was a little behind on his shots and they would need to catch up, Durenda Whitehead didn’t question the need for the vaccines. She did, however, question the safety of giving 13 vaccines at once. I can give up to 20 at one time. Our study showed that infants who receive several vaccines concurrently…are significantly more likely to be hospitalized or die when compared with infants who receive fewer vaccines simultaneously. During his first year of life, little KJ had a few bouts with respiratory illness, but on January 16, 2017, he was healthy, happy, and active. KJ was a happy, active baby before his one-year checkup. Photo courtesy of the family. His mother followed the advice of the nurse-practitioner, consenting to 8 shots at once. Some of the shots contain multiple vaccines; thus, KJ was given a total of 13 vaccines on that day – 4 shots in each leg. He leaned his body forward again and had this ‘help me’ look in his eyes while he continued to cry. 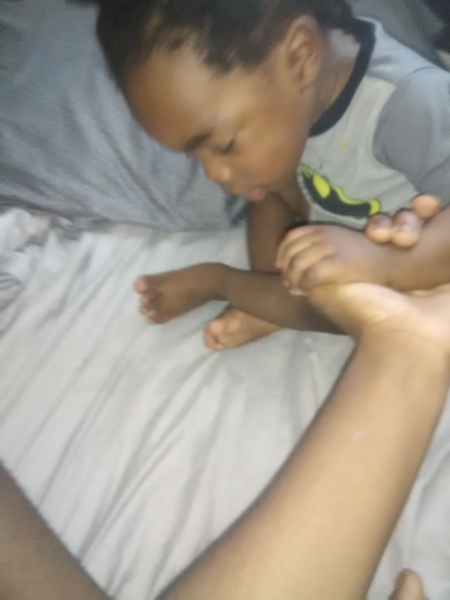 “Help me.” KJ couldn’t even sit up unsupported that day. Photo courtesy of the family. This was not normal for him at all. Durenda says she tried to stand him up, but his legs were trembling and limp, and he kept falling down. 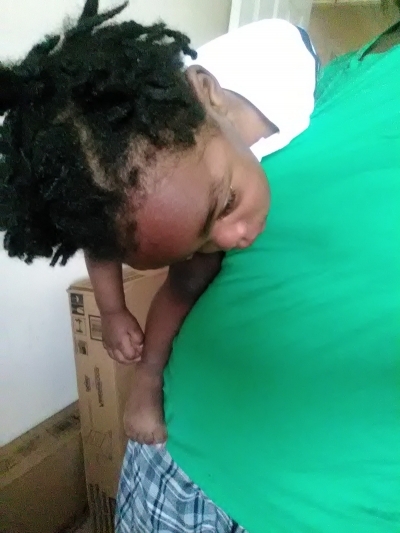 KJ couldn’t even hold his head up straight, less than a week after vaccines. Photo courtesy of the family. He was spaced out, [and] had weakness and trembling in his legs and swelling where his shots were given…. I told the E.R. doctor that my son had received 8 shots earlier that week. He gradually lost his ability to use his legs properly and was acting very abnormal. KJ after vaccines. Photo courtesy of the family. 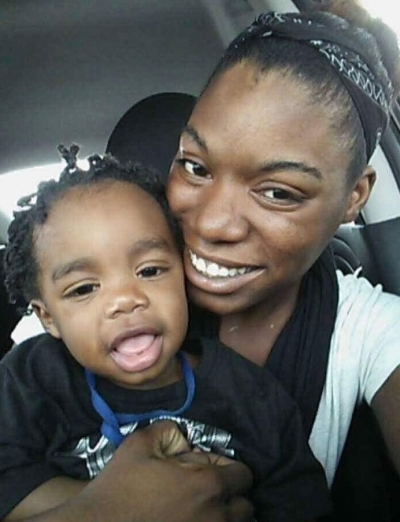 The doctor decided to run a CT scan on the baby, then reported to Durenda that he saw “black lesions” or inflammation on her son’s brain. He told her that an MRI would give them better answers as to what was happening, but they didn’t have the equipment there to do the MRI. He set up a transfer to Children’s Health Care of Atlanta. Within a few hours, KJ’s daddy Keynard rode with him in the ambulance to Atlanta, while Durenda and her daughter followed in her car. KJ was sedated the following afternoon for the MRI. Durenda left her family at the hospital to take a work excuse to her job, which was an hour away. She was almost back to the hospital, just one exit away when she was in a car accident. Her face slammed into the steering wheel, busting her lip and causing her eye to be very swollen. Even so, all she could think about was getting back to her baby, who had come out of sedation. Police on the scene told her that her car needed to be towed and called for a tow truck and another officer to come take her to the hospital with her baby. By the time she got to the hospital, it was close to 9 pm. KJ had been moved to a regular room. Durenda went straight to the room and climbed onto the bed to hold her son close to her. It had been a very stressful day. No, ma’am. My son is here because he has been very weak and spaced out after receiving his vaccines earlier this week and he’s been acting very abnormal. The doctor appeared confused. Durenda explained that KJ used to have episodes of bronchiolitis for which she and his father sought medical attention, but that it had been several months since he had an issue with it. That could be what was in the records, but it wasn’t what they were currently there for. The doctor ordered a blood gas test to make sure that he was breathing adequately. When the results came back affirming that there were no breathing issues, the doctor still insisted that KJ went to the PICU floor. She reportedly told the family that she felt it would be best because, if KJ were to begin to have breathing issues, they are not as “equipped” on that floor as the doctors in the PICU would be, and that the doctors there were waiting for him. My son is showing no signs of respiratory issues though, so why is that such a huge concern right now? KJ is very much loved by his big sister. Photo provided by the family. A hospital social worker showed up shortly after, and the family again explained their predicament. The social worker told them that they cannot argue with the doctor’s suggestion. They replied that they weren’t arguing with the suggestion, simply explaining their situation. The social worker told them that he would check to see if the family room was available for Keynard and their daughter so that Durenda could accompany the baby to the PICU. They agreed to that. However, the doctor came back to the room a few minutes after the social worker left. She was flanked by 4 hospital security guards, with police officers and a state trooper standing just outside the door. Oh, you think you know more than the doctor now? No, sir, but this is her first time ever seeing him. I know my son and I know the reason I brought my son to the hospital and that’s not why. Even the test she just ran proved that. Whatever the doctor says goes. If she says he’s going to PICU, then he’s going if that means we have to take him. At that point, the young mother asked to transfer to another facility to get help for her son, but they refused. The conversation escalated from there. A nurse practitioner came into the room with a paper, telling the parents that they had violated the Terrell Peterson Act. Since Durenda had never heard of the act, she asked how they were violating it. Terrell Peterson was a boy who was in imminent danger and needed special medical treatment but his parents refused and took him from the hospital and he later went home and died. Durenda pointed out that her son was not in imminent danger, nor were they refusing treatment. The Terrell Peterson Act was passed by the Georgia legislature in 2000 after a little boy did, indeed, die eventually after he was taken home from the hospital and denied medical treatment. However, it was not the parents who abused him or denied him treatment. It was, in fact, his foster mother who was responsible for his death – a foster mother chosen by the Department of Family and Children Services (DFACS). 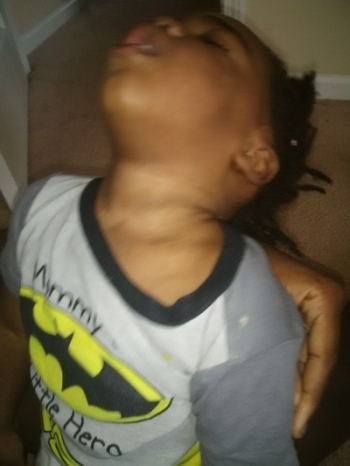 According to an investigative report by 60 Minutes, the little boy had been viciously abused in foster care, and DFACS failed to follow many of their own protocols to protect Terrell Peterson, as well hundreds of other children who were placed in their care. 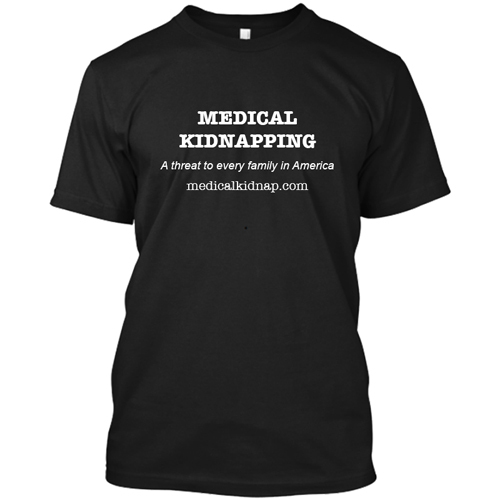 Nonetheless, the doctor had already signed the document, and the conflict between Durenda and the hospital staff ended with security physically taking KJ out of Durenda’s arms and kicking the rest of the family out of the hospital, literally out into the street. 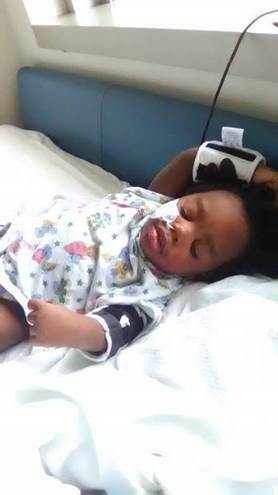 Child Protective Services was called into the situation and found KJ “dependent,” based on the reports from the hospital that the child had respiratory issues and that the family did not agree with the doctors that he needed treatment in the PICU. The reports accused the parents of trying to take KJ out of the hospital. Durenda wonders if that part referred to her request that he be transferred to another hospital, something that should be the right of any parent. There was no way that they could have whisked him away from the hospital even if they wanted to because her car was wrecked. KJ’s parents were not permitted to see or visit him at all until after the 72-hour hearing. The family scraped together money to hire an attorney, who reportedly advised them to waive the initial hearing. My son looked ten times worse than he did when the hospital took him from me. KJ in the hospital after being taken from his parents. Photo provided by the family. Despite this, the PICU staff had KJ moved back down to the first floor, the floor where he was taken from his parents. The PICU reportedly told Durenda that he was not “PICU criteria,” even though he actually had developed breathing problems requiring a ventilator by this point. Medical reports show that KJ did not test positive for any respiratory problems until after he was taken from his parents, who were faulted for insisting that he was not having respiratory problems. 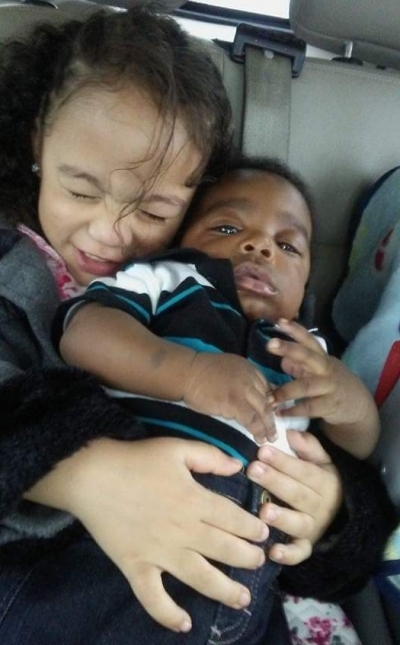 Durenda says that it was quite obvious to her that the numerous vaccines in one day were what precipitated her son’s condition, but most medical personnel appear to be in denial about that possibility. One of the primary theories at the beginning was that KJ had some kind of metabolic issue causing his symptoms. However, over the next two weeks after he was taken, multiple tests were run and all the metabolic panels came back normal. We aren’t focusing on a diagnosis; we’re just going to try to start his therapy to help him get better. At that point, Durenda realized that it would be difficult to get any doctor to look closely at the real source of his condition – the vaccines. Doctors transferred KJ to in-patient rehabilitation and started KJ on a regimen of occupational, physical, and speech therapy. It was with the rehab staff that Durenda found support for her family. because that seemed to be the only time my son could stay calm enough to receive the physical, occupational, and speech therapy he needs because he was less irritable when we were around to comfort him. Durenda credits the rehab staff with getting their son back into their custody. Because they spoke up, the court gave the parents back custody of their son two weeks after he was taken, albeit under a protective order of the court. KJ’s family before vaccines forever changed their lives. Photo provided by the family. The court and DFACS are still involved in the family’s lives. 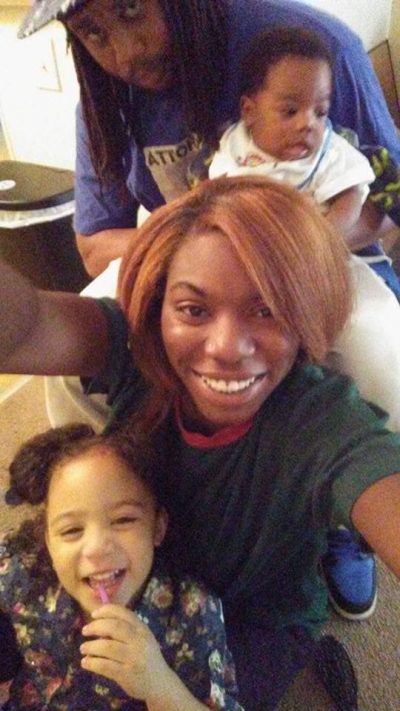 Durenda has been ordered to have a psychological evaluation, and she recognizes that refusal puts her at risk of losing her children to the state. DFACS also mailed her a notice saying that they are registering her name in the Child Abuse Registry, even though she has not harmed her son. She had 10 days to file an appeal, which she has done. 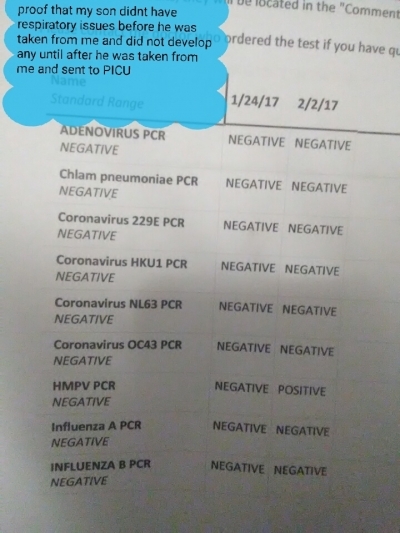 This situation escalated from being a concerned parent about my son receiving too many vaccinations, which caused inflammation in his brain, to me being falsely accused, causing me to lose custody of my son in a hospital. KJ still is not better, and there is still no definitive diagnosis. Even though the first doctors were willing to acknowledge the possibility of vaccine injury, subsequent doctors have not. Doctors get very defensive regarding vaccines and deny that this is vaccine injury. They don’t really understand how to help. When all of this started in January, Durenda was like the majority of mainsteam parents, who had no clue that vaccines could cause harm. She never dreamed that vaccines could do what they have done to her son. People need to be aware. I want to tell my story to hopefully help save another child and/or parent who may be at risk or currently going through something similar to what I have within the past few months. She was unaware that the government has a vaccine injury database – the Vaccine Adverse Event Reporting System (VAERS) – run by the Centers for Disease Control (CDC) and the FDA, where doctors and parents can report adverse effects to vaccines. Doctors should report problems, but as Durenda has found, many doctors are in denial that vaccines can cause harm. Parents are welcome to file their own reports at the website here.